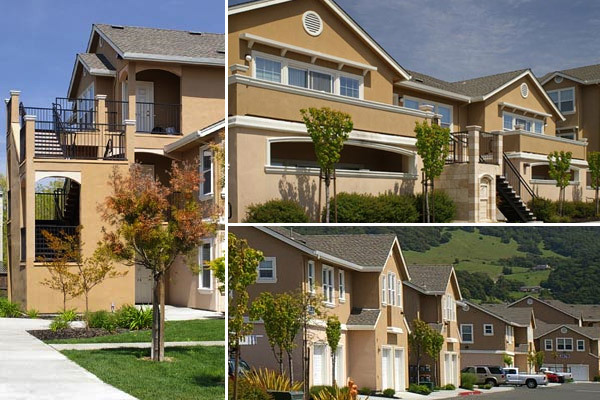 The Malibu East Apartments is a 72-unit apartment project on a long narrow four acre site in southeast Santa Rosa. The two and three story buildings house one- and two-bedroom units ranging in size from 600 to 1100 square feet in size. Parking is provided by a combination of garages, carports and uncovered spaces. The project includes a management office, laundry facilities and a community room. Two common landscape areas and a paved play area provide opportunities for outdoor recreation and social activities for the tenants.